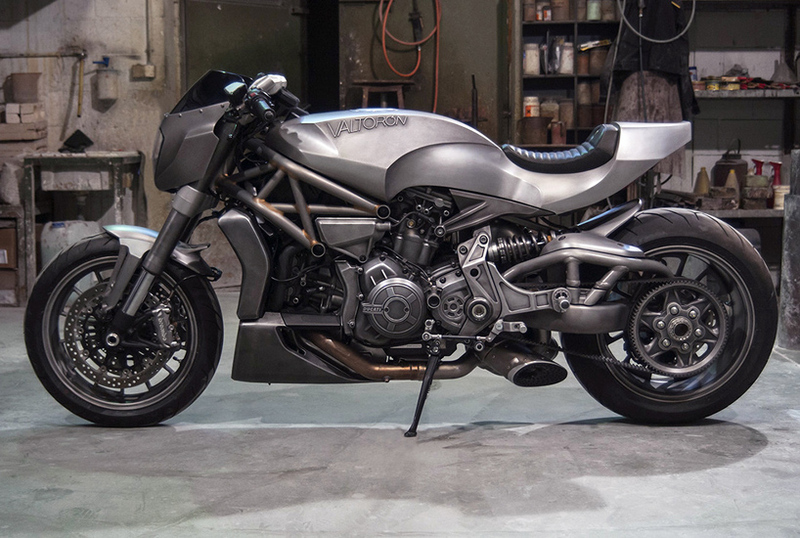 Hailing from Spain, brothers Pablo and Carlos Delgado with their garage Valtoron have teamed up to recreate the Ducati Diavel motorcycle, taking it up a notch with handcrafted metal bodywork. They are well-known for sculpting their bikes by hand before casting them with traditional sand casting techniques. 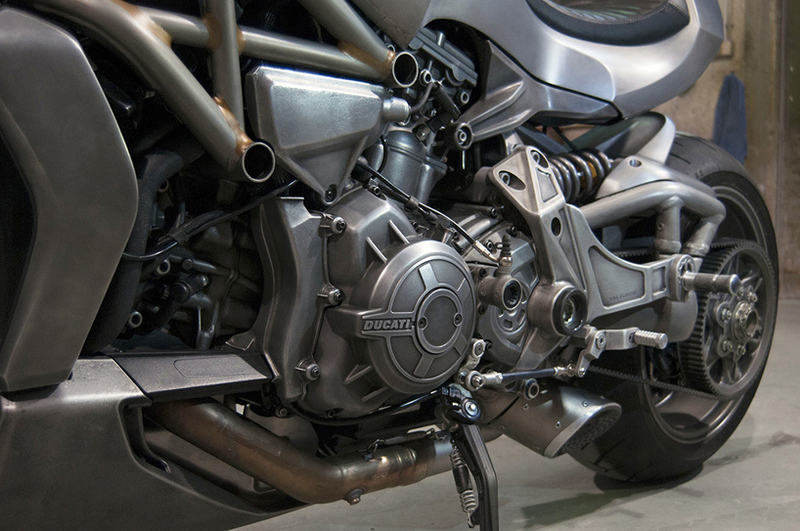 Ducati Iberica was initially seeking for a Spanish garage to transform its latest model and ended up with Valtoron as its best and final option. 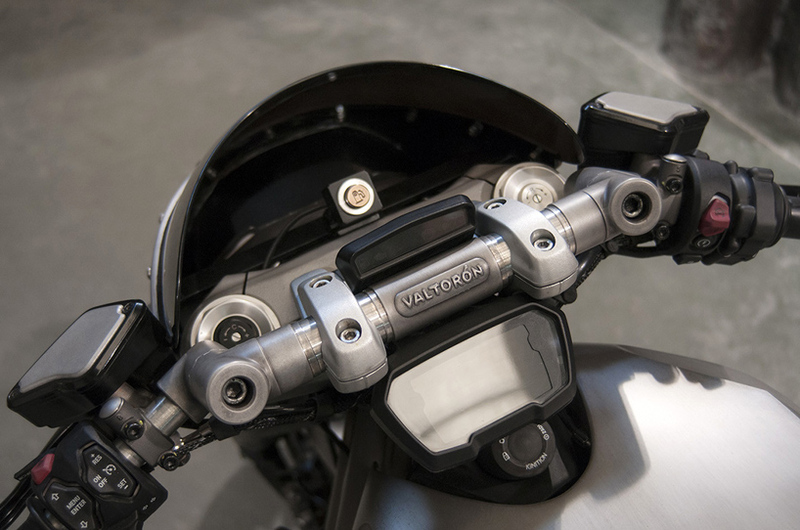 Valtoron took two months to familiarize with the bike and decided that the exterior of the bike is rather muscular and made its mind to transform it into a dragster styled motorcycle, emphasizing the Diavel’s sheer power. The bike features a single seat and the exterior is coated with aluminum monocoque. The idea is to ensure the bike was both functional and representative of Valtoron’s signature style. The garage ended up creating a design that integrated the original tail lights into the metal bodywork. Not to mention, the bike fairing fits to the naked bike in a way that preserves the original headlamp style. 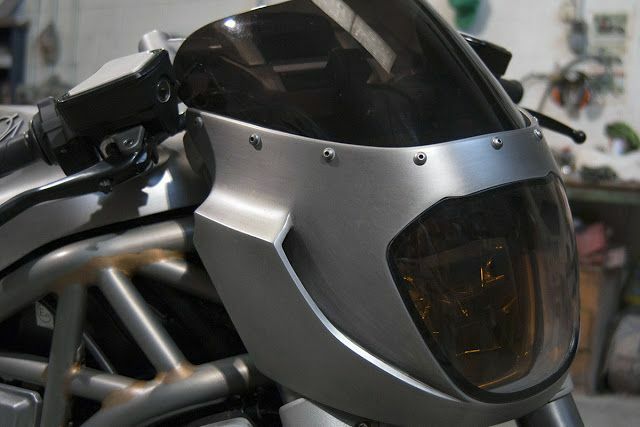 In the growing perimeter of custom motorcycles, there is no doubt that creativity and innovation is at its level best. The custom Valtoron Ducati Diavel- definitely a beauty that instantly catches the eyes of many and carries no hint of disappointment. This custom Honda CB1000R by Gannet & Fuhrer will make your jaw drop! Jetpack Aviation’s flying motorcycle The Speeder up for grabs!